Doctor Who already has his own chicken coop, so why shouldn’t the Autobots? Well, thanks to one enterprising farmer/geek, they now do. 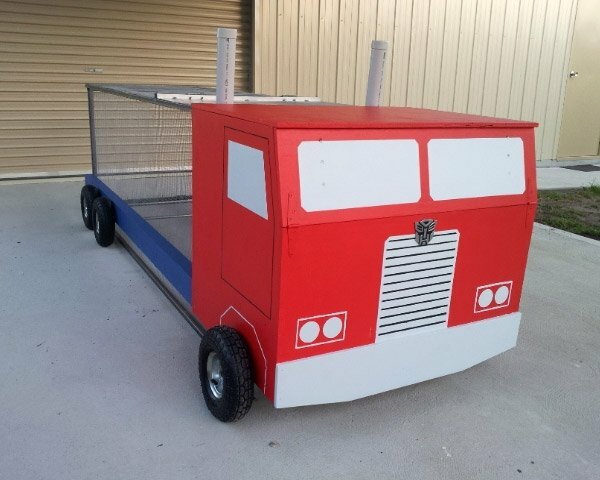 A dude going by the name “Tez” created this awesome chicken coop made up to look just like Optimus Prime (in truck mode that is). While it won’t transform into a standing mech, it will keep chickens in check and help them stay fat and happy while they lay their eggs. All it needs is an ion blaster to fire at any approaching foxes (or Decepticons), and it’ll be perfect. 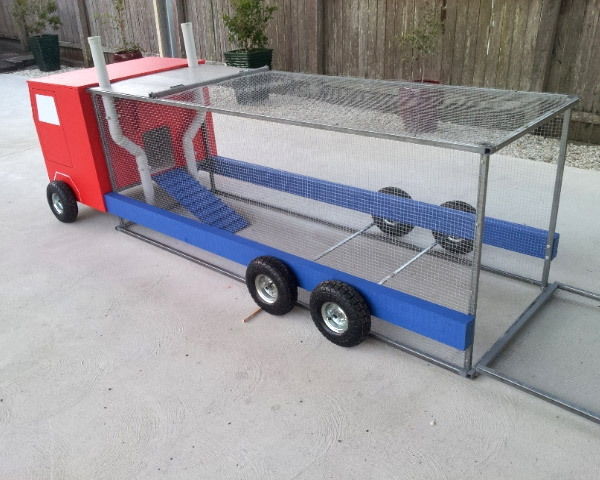 Check out more pictures of the Optimus Prime chicken coop here.